Homemaker Highlights: Krystal Family Prize Pack Giveaway! Krystal Family Prize Pack Giveaway! 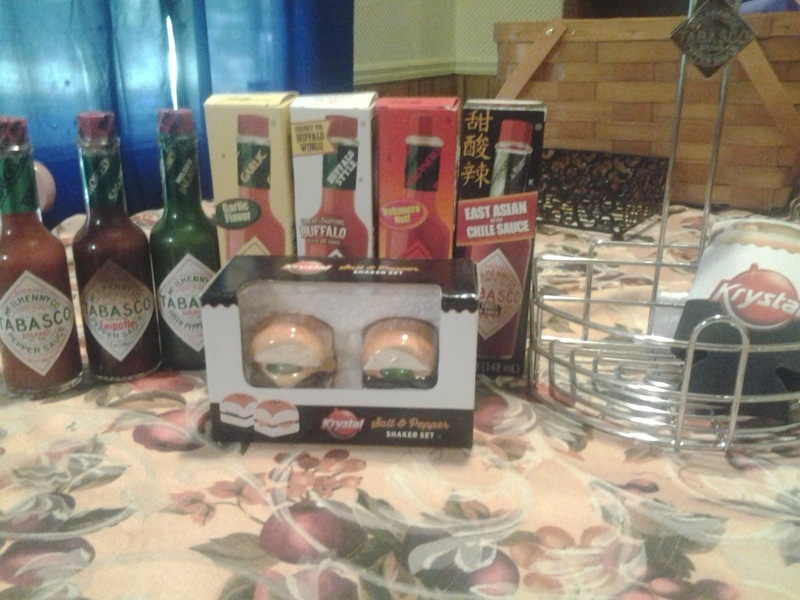 7 different flavors of Tabasco sauce. A metal Tabasco bottle holder. The cutest salt and pepper shakers known to man! Free coupons for their new "Fired Up" menu. If you guys haven't stopped by Krystal's lately, I highly suggest you do! For a limited time (Until August 7, 2016) they have a new "Fired Up" menu featuring Tabasco's original red sauce. These burgers, Chiks, Chili Fries, and pups offer up hot cheese infused with Tabasco. I would have to say that the burgers infused with Tabasco are AMAZING! Not too spicy and just the right amount of kick. Perfect for a day when you are looking to try something delicious and different. If you would love to enter for a family prize pack, just enter through the Rafflecopter links below. My Chickaroos had an absolute blast having a Tabasco taste test off. For Emma Kay the Buffalo sauce came in first place and Lilly Rose brought the Habanero sauce in for her first. These sauces are also wonderful to add to your fried chicken recipe (I add to my flour mixture after I have whisked all my dry ingredients together) and BBQ sauce recipe, just to kick things up a notch.